Quietly, the tensions between a hunted child and the father who can barely protect him bloom into a stellar surprise. Lately, indie-inspired directors have been taking the back door into the treasured blockbusters of their youth. Witness Ryan Coogler’s stealth Rocky sequel Creed—more a conversation piece than a championship bout—or producer J.J. Abrams’s 10 Cloverfield Lane, which makes you wait for its sci-fi jack-in-the-box to spring while it explores the cozy recesses of a paranoid three-actor play. These films put the acting and emotion first: It’s a lesson M. Night Shyamalan once knew before he forgot. 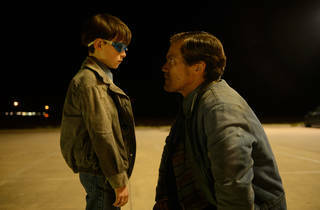 You can roll with the brewing tensions of Jeff Nichols’s taciturn, excellent B picture Midnight Special, confident (if you need such reassurance) that a beautiful complication lays in store. There’s a sad eight-year-old boy, Alton (Jaeden Lieberher), stowed in the backseat of a cruising car. He’s up long past his bedtime. Motel TVs scream out orange alerts, and as we eyeball the two severe-looking men in the front (actors Michael Shannon and Joel Edgerton), the situation looks worse than bad. But soon we learn the former is just a nervous dad who’s fleeing a cult-like compound called the Ranch. Its leader (a deliciously evil Sam Shepard) has apocalyptic plans for Alton; so does a nerdy government agent (Adam Driver) who brings the whole of national security in helicoptering pursuit. Viewers who remember the extrasensory kids of Stephen King’s Firestarter or Steven Spielberg’s Close Encounters of the Third Kind will shiver at the setup, pitched between aching parental worry and carefully deployed special effects that fire the imagination. Nichols (Take Shelter) knows his way around a low budget, but he’s kicked his game higher—this is a Hollywood film of unusual poise and conviction. Even more impressively, Nichols has managed to retain his pet themes of crazy faith and the pressures of fatherhood. 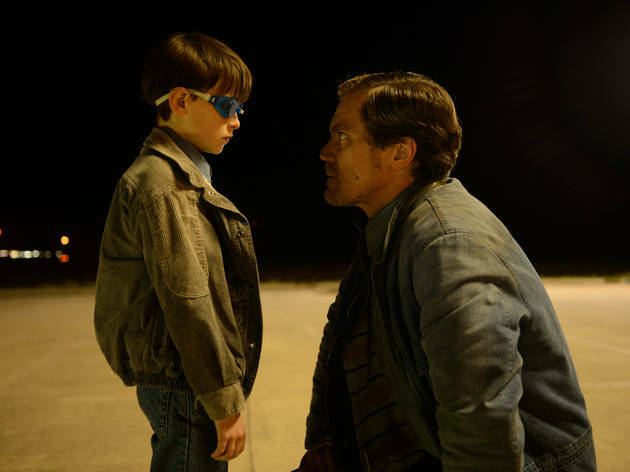 Midnight Special is a movie worth believing in. It's an alternative to the assembly line that turns hot young directors into purveyors of the latest shade of superhero spandex. Little here feels like science or fiction but sci-fi is exactly what this is, from the heart and out of this world.